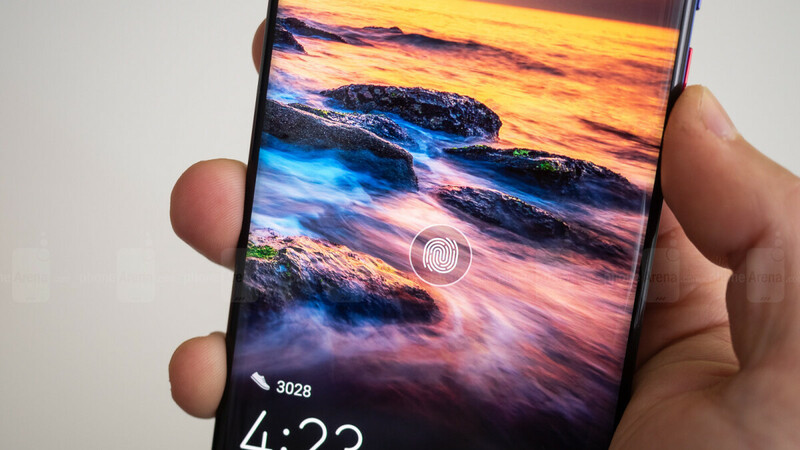 The Huawei Mate 20 Pro is an odd bird when it comes to biometrics - not only does it sport a 3D-sensing front camera kit for face unlocking like Apple's TrueDepth cam, but it also features a fingerprint reader of the in-display type. This makes it the most decked-out phone in terms of biometrics this side of Xiaomi's Mi 8 EE that was first to sport both technologies in one handset. If you want to know how does the latest generation of in-screen finger scanners looks like inside of a phone, look no further than iFixit's fresh teardown of the Mate 20 Pro. Well, we shouldn't say "the latest," as Qualcomm's second-gen ultrasonic fingerprint readers have already been announced, and are going to make a cameo in the Galaxy S10, but the one in the Mate 20 Pro is perhaps the best that the industry can muster on a mass scale at the moment. That's not saying much, as we found it to be slower than the capacitive scanners that used to be installed in home buttons or on the back/side of a handset, and a bit cumbersome to master in terms of how much pressure to apply on the display to register our finger's presence before it unlocks the Mate 20 Pro. Still, it is a fascinating technology in its own right, helpful in the quest for an "all-screen" phone. As we expected, instead of a Qualcomm second-gen ultrasonic sensor, the one in the Mate 20 Pro is still made by Gudix, like on most current phones with in-display scanners, including the OnePlus 6T, and is still of the less precise optical variety. Technically it turns out that the optical ones are actually under-screen, rather than in-display, but they are still a fascinating technology to gawk at. Previous rumors that Huawei will hold the exclusivity on Qualcomm's newest reader until the S10 hits the tape were either exaggerated, or Samsung managed to score an exclusivity agreement first. After all, the S10 will likely sell in the tens of millions, so Qualcomm would rather go with the mass flow. I'm using the one on the Oneplus 6T , I'd say its avg at best. I think the ultrasonic one is the way to go. I like the idea and for a first/second gen scanner Oneplus 6t should have done a better job. Hopefully it gets better over software updates. Overall phone is excellent though. I am using the Vivo NEX and have tried the Oneplus 6T, and IMO they both use the same in-display scanner. Both are second gen and have similar speed and accuracy. I will also agree that Vivo actually pioneered the tech. It may not have been the first, but its way ahead of the competition, with even their Mid-range phone using the tech. Ultrasonic on honor 10 is pretty slow, so I wouldn't have high hopes for it.